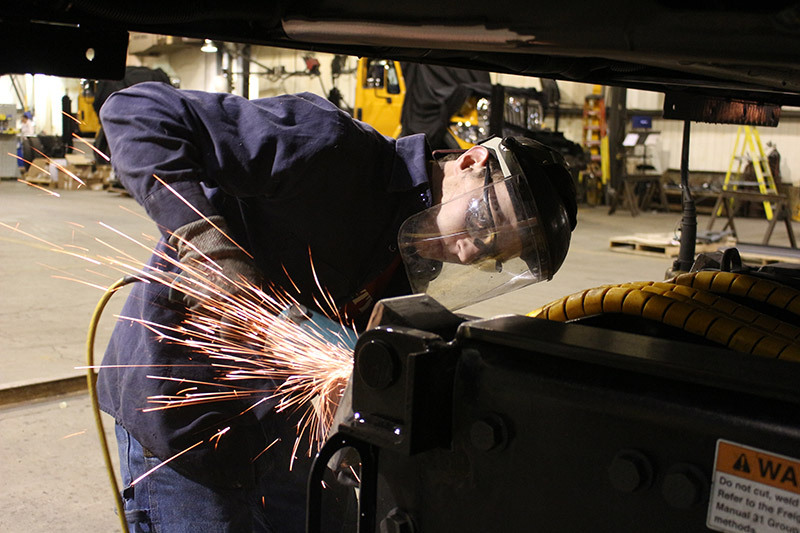 More than just CWB Certified welders; we are artisans, carefully crafting each trailer. Since 1967, our business has grown into a successful corporation while maintaining our ‘small family’ mentality. We understand the needs of our customers and endeavour to create smart, safe and innovative products. At BWS, our workers are our greatest asset. We rely on their collective skills and creative talents to generate a very high quality reliable product. We are a dedicated workforce with a ‘craftsman’ mentality. Several of our senior people have previous experience operating trailers and equipment of different vocations. Many of our employees have been with us for decades. They understand the business and have evolved with it. As you take the time to explore through our site, you will find a wide variety of product offerings. As an ISO certified trailer manufacturer in Canada, you will receive consistent quality in each and every trailer we build. You deserve nothing less. If you have any questions about our product offerings, do not hesitate to contact any of our dealer partners or our qualified sales staff. BWS Manufacturing Ltd. began as a small, privately-owned business in 1967. Its owner and creator, Burney MacDougall, named it Burney’s Welding Shop and began building flat bodies and performing repairs on various agricultural equipment. As the company evolved, BWS began producing truck bodies, snow and ice equipment and forestry trailers. By 1975, complete, final-stage trailers were being manufactured. In 1990 Burney’s youngest son, Randy McDougall purchased the company and became the second generation President & CEO. Since that time, BWS has gone on to produce many new products as the need for alternative transportation methods arose. BWS patented its Air Detachable Gooseneck in 2001 and created a new line of hydraulic detachable trailers in 2008. By 2012, BWS acquired a larger facility to accommodate the growing business. In 2017, Quebec businessman Hugo St-Cyr acquired majority shares in the company and now acts as President and CEO, introducing to BWS to new markets and opportunities. To this day, BWS continues to work with customers to provide top quality transportation solutions across North America. With our Canadian Controlled Goods Certification, we are able to meet & exceed expectations for commercial, as well as military vehicle configurations of all types from start to finish. State of the art paint facilities enable us to exercise our CARC paint qualifications on militarized trailers and integrated vehicles that can be up to 85 ft long and 12 ft wide. The employees of BWS are a dedicated workforce with a ‘craftsman’ mentality. Many of its senior people have past experience operating heavy equipment and this has resulted in their philosophy of putting themselves in the shoes of their customers. BWS relies heavily on feedback from both their dealers and their customers. We build what performs, not just what sells and that is what has contributed to significant growth throughout North America over the last several years. Whether you’re a dealer or customer, we’re here to answer any questions and help you source your next trailer. BWS Manufacturing is totally committed to understanding and meeting the quality needs and expectations of all our customers, that’s what heavy haul trailer manufacturers do. Our Company has a proud reputation for delivering quality equipment and components. As a trailer manufacturer, BWS strives for continuous improvement for our products, our facilities and the company as a whole. We are especially committed to the continuous improvement of our quality management system to ensure all company, customer, regulatory, legal and ISO 9001:2015 Requirements are met. The entire BWS team will adhere to the spirit and intent of our quality policy, as well as the directives of this quality assurance manual and its supporting quality system documentation. We will continue to aggressively strive to ensure that customer satisfaction is achieved at all times, and in all things. Our goal here at BWS is to provide relevant products for our customers based on their specific transportation needs. To maintain our involvement in the different industries we supply products for, we are a member of multiple associations throughout Canada and the US. In addition to our various memberships, BWS proudly upholds a number of certifications which support our reliability as a quality heavy haul trailer manufacturer. Latest articles featuring the work and acknowledgements of the BWS Manufacturing team. We work with truckers, dealers and suppliers to design and manufacture industry leading trailers. It seems hard to believe that BWS started in the manor that it did, in the small village of Centreville, NB and has grown exponentially over time. This was a single person operation in its inception, but no longer is that the truth.